There are some things that just don’t go together: vampires and garlic, doctors and a daily apple intake, and dentists and sugar. Well, most dentists, anyway. Dr. William James Morrison must not have gotten the memo before he invented the cotton candy machine. Morrison was a man at odds with himself. He was dedicated to his profession (even earning the title of President of the Tennessee Dental Association), but he also had a wicked sweet tooth. 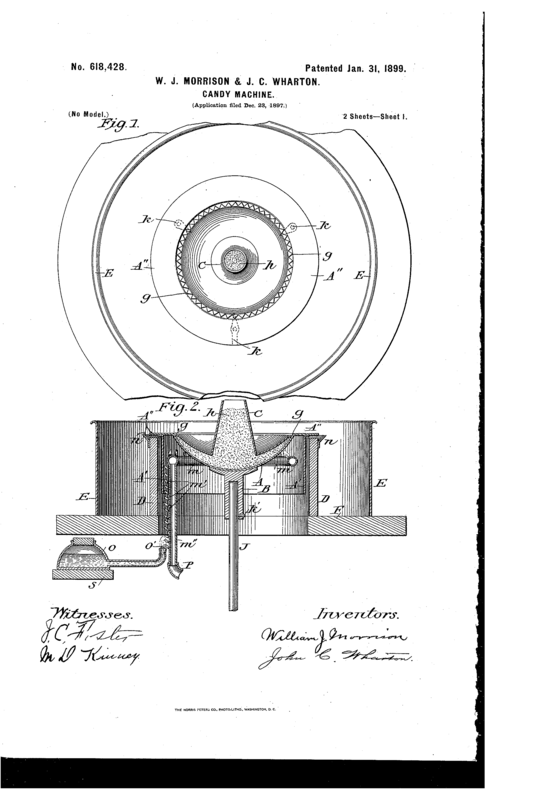 His indulgent side won out in 1899, when he and fellow confectioner John C. Wharton filed a patent for their “Candy Machine.” As the video above from Great Big Story explains, the pair then went on to debut their “Fairy Floss” to great success at the 1904 World’s Fair. Whether or not Morrison is the true inventor of cotton candy is a matter of debate. Like so much food history, the credit for cotton candy’s creation could be claimed by a lot of people, as various cultures have enjoyed some form of spun sugar since at least the 15th century. But if you’re talking about the modern, machine-spun incarnation, we’ve got Morrison and Wharton to thank. Header image from YouTube // Great Big Story.